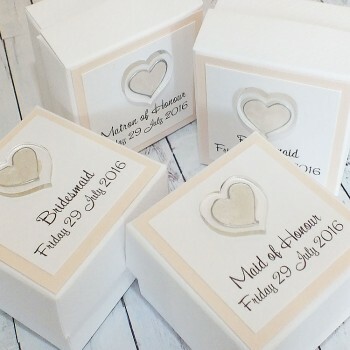 We offer a range of wedding favour boxes in a variety of colour themes. 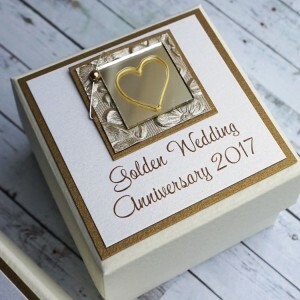 It is traditional to thank your guests for attending your special day by providing favours on the table during the wedding breakfast. 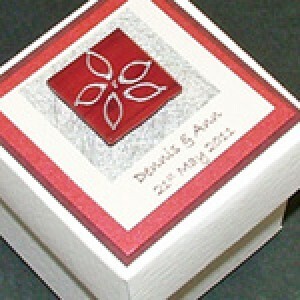 It is common for these to be filled with sweets, sugared almonds or other treats for them to enjoy. 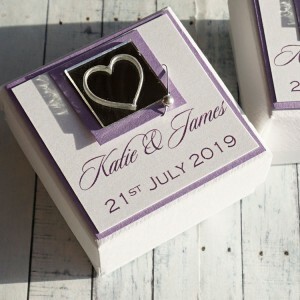 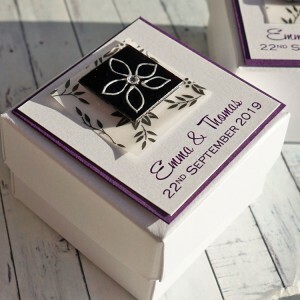 Personalised favour boxes are a great idea as they provide a solution of how to present the sweet treats as well as fitting in with your wedding theme and looking great on the tables. 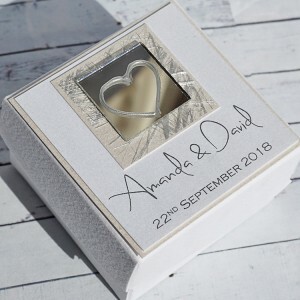 Wedding Favour Boxes "Atholl" in ivory and cream The 'Atholl' design features a beautiful pai..
Golden Wedding Anniversary Favour Box Send a unique gift of jewellery, chocolates etc or pres.. 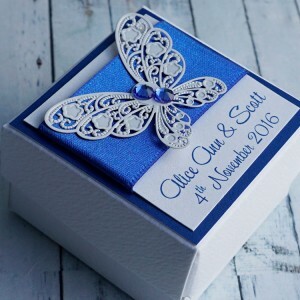 Handmade butterfly wedding favour boxes The Harris design features a pretty metal s.. 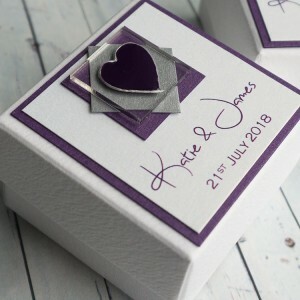 Handmade wedding favour boxes in lilac and many other colours The Jura design features a .. 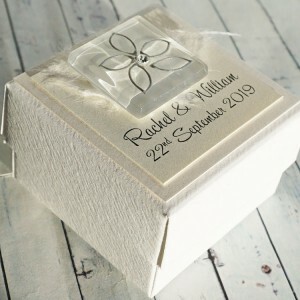 Handmade Wedding Favour Boxes, with Personalised Box Lid "Liath" The Liath design features a .. 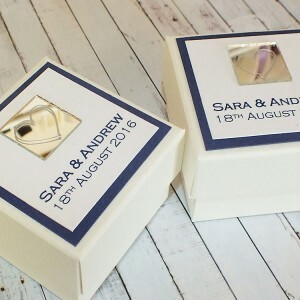 Handmade Wedding Favour Boxes "Skye" The 'Skye' design features a beautiful painted glass til..